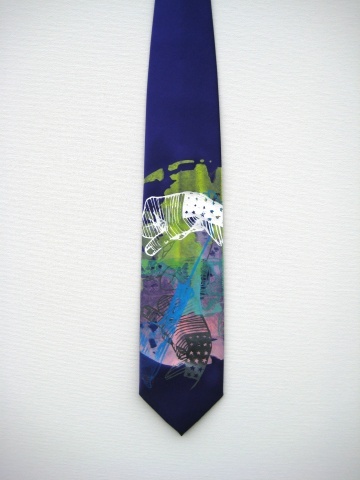 Royal Purple unisex tie containing hand drawn too shea designs. Six hand printings, with an emphasis and americana fist and flowers for bullets. one of a kind ladies and gentleman.